The Garuda Purana is one of the eighteen principal Puranas, as stated in the Shrimad-Bhagavatam (SB 12.7.23-24): The eighteen major Puranas are the Brahma, Padma, Visnu, Siva, Linga, Garuda, Narada, Bhagavata, Agni, Skanda, Bhavisya, Brahma-vaivarta, Markandeya, Vamana, Varaha, Matsya, Kurma and Brahmanda Puranas. In a Bhagavad-gita lecture given in Los Angeles on February 15, 1969, Shrila Prabhupada said, "There are eighteen Puranas. Men are conducted in three qualities: the modes of goodness, modes of Passion, and modes of ignorance. To reclaim all these conditioned souls in different varieties of life, there are presentation of the Puranas. Six Puranas are meant for the person who is in the modes of goodness. And six Puranas are meant for the persons who are in the modes of passion. And six Puranas are for those who are in the modes of ignorance." In a Bhagavad-gita lecture given in Los Angeles on February 13, 1969, Shrila Prabhupada said, "There are eighteen Puranas. Men are conducted in three qualities: the modes of goodness, modes passion, and modes of ignorance. To reclaim all these conditioned soul in different varieties of life, there are presentation of the Puranas. Six Puranas are meant for the person who is in the modes of goodness. And six Puranas are meant for the persons who are in the modes of passion. And Puranas are for those who are in the modes ignorance." The Garuda Purana confirms that it is one of the six Puranas that are meant for persons in the mode of goodness. It says that the Bhagavata Purana is the foremost, the Visnu Purana is Next, and the Garuda Purana is third in importance. "Even though one may have gone to the other side of all the Vedas, and even though one is well versed in all the revealed scriptures, if one is not a devotee of the Supreme Lord, he must be considered the lowest of mankind." "Even the worms, birds and beasts are assured of elevation to the highest perfectional life if they are completely surrendered to the transcendental loving service of the Lord, so what to speak of the philosophers amongst the human beings?" 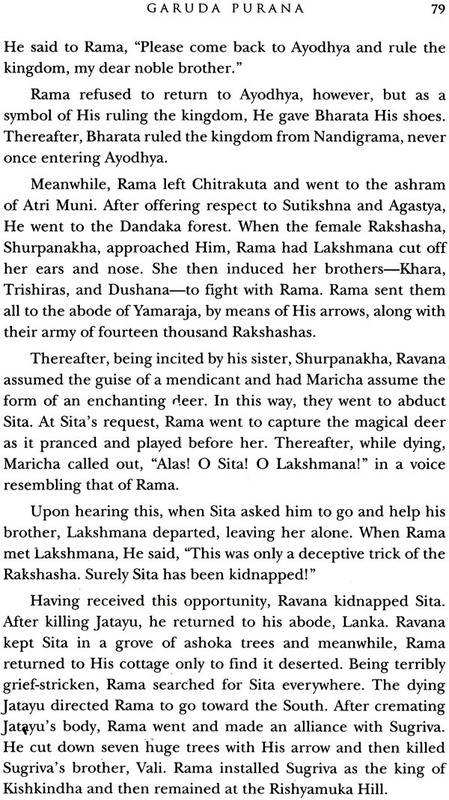 "It is said that out of thousands of brahmanas, one is qualified to perform sacrifices, and out of many thousands of such qualified brahmanas expert in sacrificial offerings, one learned brahmana may have passed beyond all Vedic knowledge. 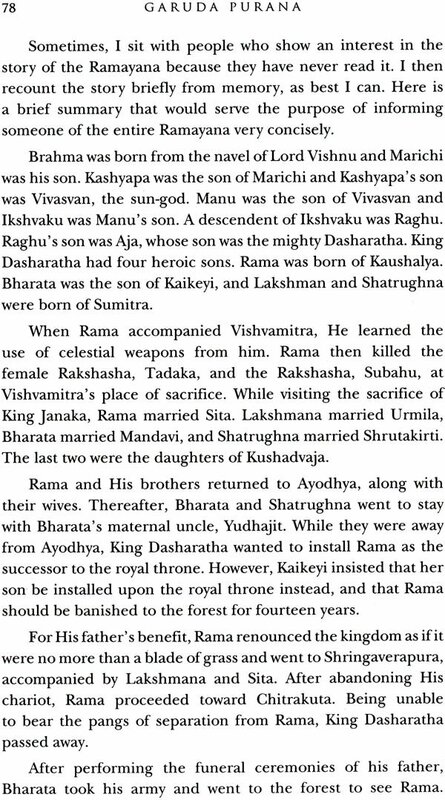 He is considered the best among all these brahmanas. And yet, out of thousands of such brahmanas who have surpassed Vedic knowledge, one person may be a visnu-bhakta, and he is most famous. Out of many thousands of such Vaisnavas, one who is completely fixed in the service of Lord Krsna is most famous. Indeed, a person who is completely devoted to the service of the Lord certainly returns home, back to Godhead." Later in the Shri Chaitanya-charitamrita (Antya 4.197), the author quotes Lord Chaitanya as saying: "Sanatana Gosvami is one of the associates of Krsna. There could not be nay had odor from his body. On the first day I embraced his, I smelled the aroma of catuhsama [a mixture of sandalwood pulp, camphor, aguru and musk]." "Two parts of musk, four parts of sandalwood, three parts of aguru or saffron and one part of camphor, when mixed together, form catuhsama." "Even if one is born a mleccha, if he becomes a devotee he is to be considered the best of the brahmanas and a learned pandita." In his Nectar of Devotion, Shrila Prabhupada wrote: In the Garuda Purana the stress on hearing is expressed very nicely. It is said there, "The state of conditioned life in the material world is just like that of a man lying unconscious, having been bitten by a snake. This is because both such unconscious stated can be ended by the sound of a mantra." 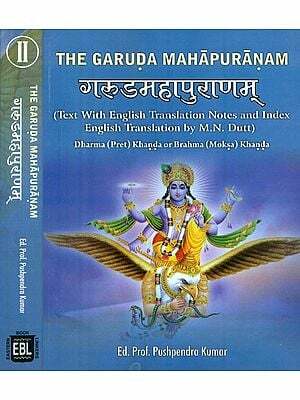 There is no doubt that the Garuda Purana is an important Vaishnava literature. Not only did Shrila Prabhupada Quote the Garuda Purana on numerous occasions, Santana Gosvami quoted many verses form the Grauda Purana in his famous book, Hari-bhakti-valasa, which is a handbook for practicing devotees. I am confident that the readers of this small summary will be not only be entertained but astonished at the wisdom contained in the Garuda Purana.